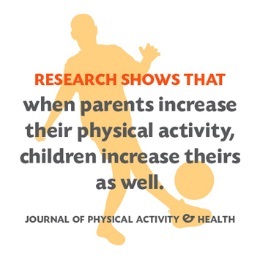 Research shows that when parents increase their physical activity, their children will do the same. This also rings true for Fruit and vegetable intake. Your children look up to you, so be positive about how your decisions to eat healthier and move more make you feel better. Feel free to follow these links for more information to becoming a healthier role model for your children. Summer is a great time to enjoy outdoor meals with family and friends. Bacteria also loves warmer temperatures so be sure to follow these food safety guidelines when eating outdoors during barbeques and picnics. Cold food should not be left out of the cooler for more than 2 hours. Cook meat and poultry thoroughly to their safe minimum internal temperature. Serve small portions and keep the rest in the cooler. Pack only what you plan to use during your meal. Use separate coolers for drinks so your food cooler is kept closed. 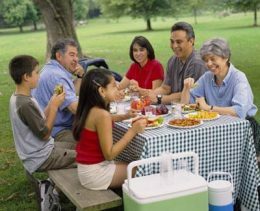 For more tips on how to keep your summer picnics and barbeques safe from foodborne illness, view our Building Strong Families insert here. In the heat of the moment, destructive conflict can creep into disagreements. Always remember that destructive messages will only make things worse, never better. Checkout the March issue of the Building Strong Families Insert to learn more tips for constructive conflict. Sometimes we find ourselves on the road when bad weather hits. 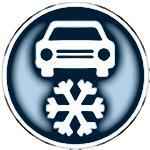 It is a good idea to have a vehicle emergency kit stocked for the current weather season and with essentials for all potential passengers. Check out the January Building Strong Families Insert for suggestions as you build and/or update your vehicle emergency kit. 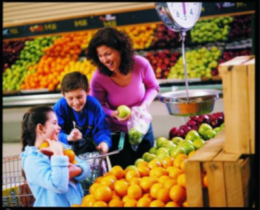 Do you find grocery shopping with little ones a bit challenging? We are here to help, find tips below and in our latest “Building Strong Families” to help your family succeed at the grocery store! Talk with your children about what you expect from them, what you will purchase, and how they will help with this process. Tell your child that they can pick one new fruit or vegetable to try. Kids are much more likely to try new foods if they are allowed to choose it themselves. Eat a meal or snack before heading out. Shopping on an empty stomach may lead to impulse buys. Discuss MyPlate with your child and talk about where each food item will fit on their plate. This is a great opportunity to talk to them about the importance of eating a variety of food. Allow your child to pick foods in each color of the rainbow. 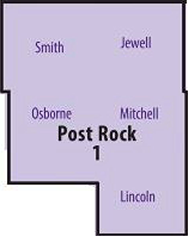 This can be a fun game to play as they are learning their colors. 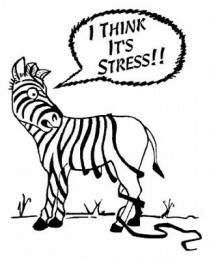 Explore suggestions to dealing with unwanted stress throughout the holiday season. Recognize potential triggers in advance and develop strategies to cope with, decrease, and eliminate stressors that keep you and your family from enjoying the season. 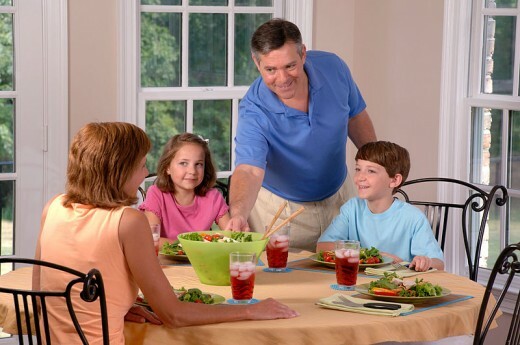 Some of the best times your family will spend together will happen at the dinner table. When families eat together, meals tend to be more n utritious and kids who eat regularly with their parents are more likely to snack on fruits, vegetables, and hearty whole grains than snacking on less nutritious options. Check out our the October Building Strong Families for mealtime tips.